Franklin Mills specializes in custom patent & trademark folders. Send us a sample of what you are currently using and receive a lower cost from Franklin Mill - lowest price guarantee. 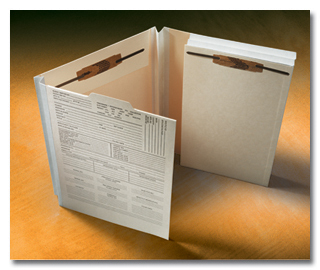 Franklin Mills custom patent folders feature a convenient pre-printed application form and claim status form for easy documentation. Franklin Mills also specializes in expandable patent & trademark folders. Contact the experts at Franklin Mills for personal assistance in designing your patent/trademark folder or send us a sample of what you are currently using and receive a lower price from Franklin Mills.Contact the expects at Franklin Mills for personal assistance in designing your custom-made patent & trademark folder at 1-888-678-4585.